The framework provided by the UN’s Sustainable Development Goals (SDGs) prioritises the sustainability challenges faced by the developing world. At Ennovent, we align our innovation projects with the SDGs to focus on sectors with a need for immediate intervention in India, Nepal and Bhutan. To build these projects, we first analyse the needs and challenges faced in these sectors, identify business innovations to address the gaps and work with the innovators to test and launch their business projects. Water, sanitation and hygiene (WASH), the focus of SDG 6, has been at the core of many of Ennovent’s innovation projects over the past few months. Through these projects, we leverage innovators’ potential and our partners’ expertise to identify and bridge gaps in the delivery of basic services. Our involvement in WASH extends beyond just implementing innovation projects to providing funding as well. 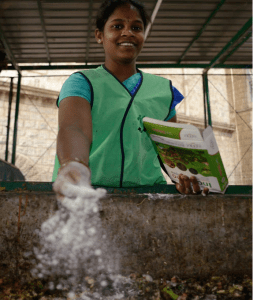 In February this year, Ennovent’s Impact Investment Holding (IIH) made an investment in Hasiru Dala Innovations, a Bengaluru-based company offering waste management services while creating sustainable livelihoods for waste-pickers. Hasiru Dala achieves this through innovative initiatives centered on the circular economy principle. By providing waste management and urban gardening services and products, Hasiru Dala contributes to ensuring the livelihoods of waste-pickers, improving facilities for the residents of Bengaluru and diverting over 90 percent of waste away from landfills for processing. Our investment in Hasiru Dala was motivated by the need to look beyond product innovation in sanitation. We recognised that urban waste management was one of the top challenges in the sanitation value chain. As cities grow rapidly and often unsustainably, urban local bodies struggle to dispose of or process safely the enormous amounts of waste generated. While about 91 percent of the municipal solid waste generated is collected properly, over 70 percent of it is disposed unscientifically, according to India’s Central Pollution Control Board. Improper handling of waste has an impact not only in terms of the environment and aesthetics of the surroundings, but also poses a serious potential threat to public health and, consequently, urban development. Among those affected directly are the waste-pickers, working often informally in hazardous conditions, struggling to achieve respectable livelihoods and access to finance, health care and education for their children. 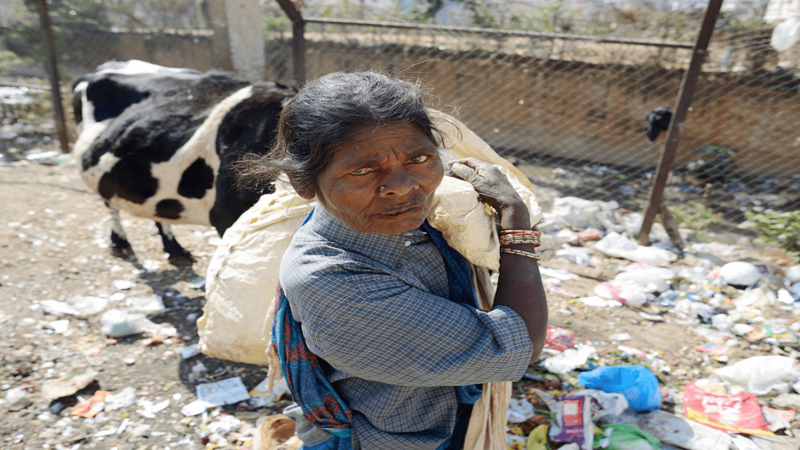 Bengaluru alone is home to nearly 30,000 waste-pickers. Starting out in 2013, Hasiru Dala has transitioned from being an NGO alone to a for-profit/not-for-loss social enterprise model, creating over 800 full- and part-time jobs since inception. Hasiru Dala offers waste-pickers the opportunity to be trained as entrepreneurs and work collaboratively with other waste-pickers, which has resulted in over 7,500 waste-pickers gaining a sense of occupational identity. 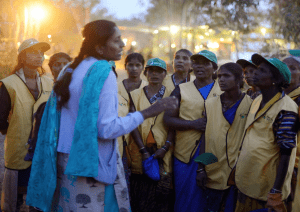 The journey of empowering the waste-pickers does not end just at providing them with access to insurance and banking services, but also extends to making scholarships and educational loans available to their children. In close coordination with the city’s main municipal administration body, Hasiru Dala collects and transports solid waste and ensures that segregated waste is processed. Over 700 tonnes of waste per month are being recycled or bio-methanized so far. In addition, the company sells gardening and composting products for households. Hasiru Dala’s efforts have led over 25,000 households to adopt sustainable waste management practices. The investment from the IIH is expected to help Hasiru Dala expand its operations in Bengaluru and to other cities in India. The organisation also hopes to invest in technology to streamline operations and improve on current service offerings. This is the sixth addition to the IIH portfolio, whose previous investments have cut across education, health care and skill development. We hope that our support will help Hasiru Dala Innovations to not only create a lasting impact on marginalised waste-pickers, but also pave the path toward equal economic opportunities and entrepreneurship in the country. With most major cities having reached critical levels of waste and actively looking for solutions, we hope to address these environmental hazards through greater awareness of waste segregation at the source. This will result in organic waste being composted at household and ward levels, creating valuable compost that can be used for gardening and urban agriculture. It has been Ennovent’s focus to enable this change and have a long-lasting impact on the society and environment while addressing SDG 6.